So, Saif Ali Khan has revealed that little Taimur Ali Khan doesn’t like to see mommy Kareena Kapoor Khan wearing make-up. Reportedly, human marshmallow Taimur gives two hoots if Saif walks out all decked up — but he seems to particularly dislike seeing mommy in her paparazzi-ready avatar. Taimur’s gut-bursting cuteness has guaranteed that whatever gibberish may escape his puckered lips makes headlines across the country. So, naturally, Saif’s revelation about Tim and his aversion to make-up did too. But can we please take a moment to ponder over where that leaves Kareena? In a cover interview to a leading women’s celebrity magazine in 2016, Kareena had revealed that hubby Saif loves her kohl-lined eyes. “Saif likes it when I’m all glamorous and decked up. He absolutely loves the classic smoky eyes,” she was quoted. Now, since we know that a sanskaari Bharatiya wife’s primary duty is to keep her husband — the pati parmeshwar — happy, Kareena is obviously expected to indulge in saaj-shringaar. Sajhna hai mujhe sajna ke liye-mode activated. But what if the Bharatiya nari is both a ‘patni’ — and a ‘maa’? 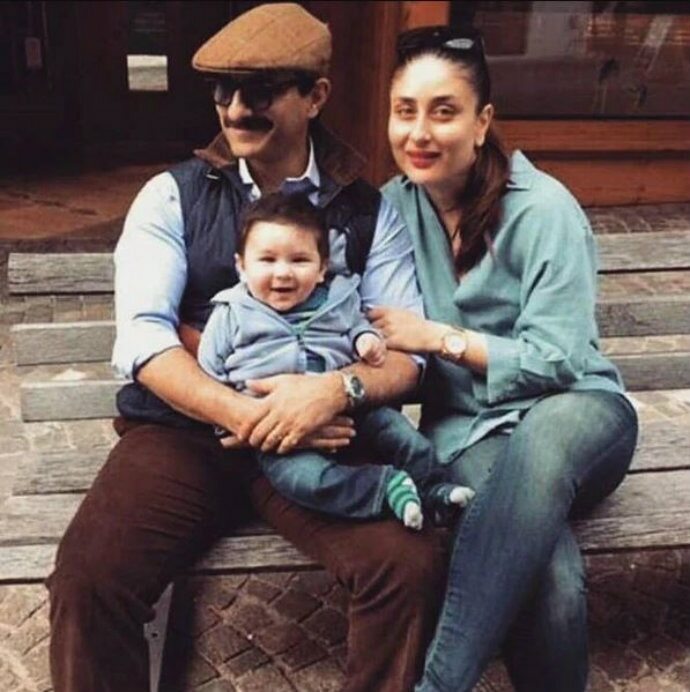 As Mother India, therefore, Kareena must oblige Taimur — the raja beta. Oh, then she must denounce her Bobbi Browns. To make-up or not to make-up. If there’s one thing this piece of news has taught us, it is that whether you are one of the most revered women in Bollywood, or a regular woman smashing a keyboard right now — like yours truly — your entire existence will be about and revolve around the men in your life. In this case, Saif Ali Khan and Taimur Ali Khan. In other news, the nation finally has an answer to why Kareena spends so much time at the gym.